During global shipments, breeder chicks can be in transit for up to 72 hours. It is challenging to keep them properly hydrated and nourished without overstimulating their metabolism and protecting them from wetting and thermal sensitivity. 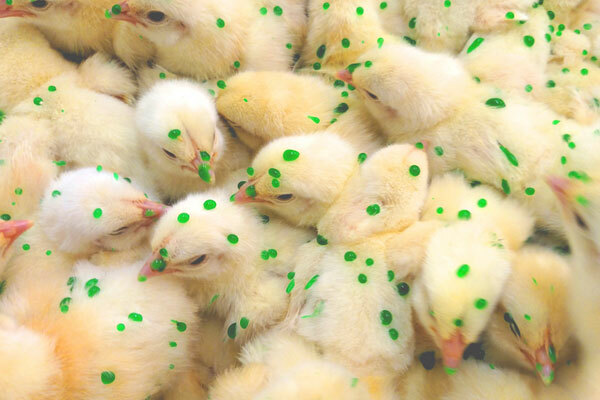 During hatchery processing, inoculation rates for mass vaccinations among poultry are traditionally low, making it difficult to manage disease effectively. 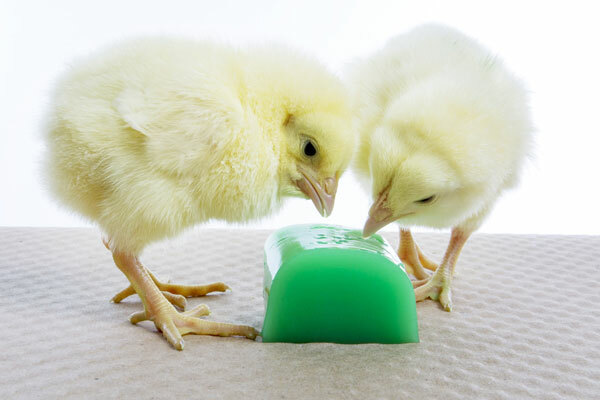 When it comes to solving these issues, the world’s leading poultry genetics companies trust ClearH2O to help them improve their hatchlings’ livability and commercial poultry producers are increasingly implementing ClearH2O’s GelDrop Delivery System for higher and more uniform inoculation of their biologics. Products like ClearH2O’s HydroGel 95 and DietGel are ready-to-use hydration and nutritional supplements that allow hatchlings and crate paper to stay dry during transit. This enables them to successfully endure and recover from the stress of transportation and promotes greater chick livability. The increasing consumer demand for antibiotic-free animal protein has forced the poultry industry to find other solutions to manage disease effectively in mass applications. 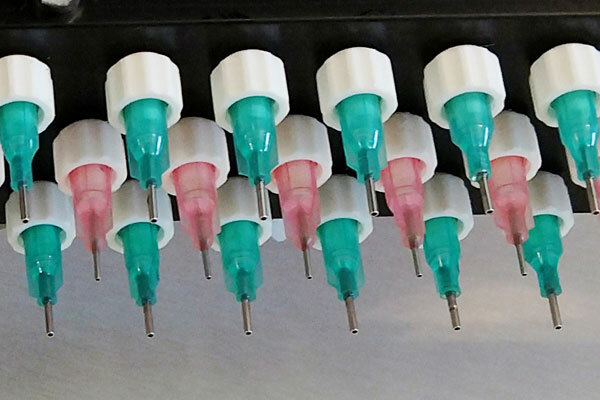 ClearH2O’s GelDrop® technology enables the topical application of orally-delivered vaccines, probiotics, nutrients, therapeutics, and supplemental hydration to day old chicks and poults. The unique physical properties of ClearH2O’s GelDrop products significantly improves consumption resulting in enhanced inoculation of biologics, helping hatchlings get off to a stronger start and helthier growout. Manufactured in an FDA approved HACCP facility, ClearH2O products are guaranteed commercially sterile and free from contaminants. Our commitment to the promotion of welfare and livability of animals—coupled with the dedication to the success of your business—drives us to make the best quality products. Consistency, ease-of-use, and stringent quality standards result in improved animal health and greater workflow efficiency. Discover firsthand how chicks respond to a hydration product designed specifically for poultry in transit. Request your sample today. 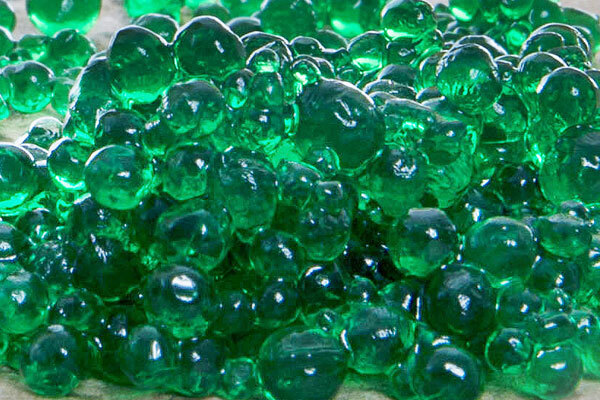 HydroGel 95 comes in an easy-to-cut gel format that can be appropriately portioned. It’s non-wetting, ensuring chicks stay hydrated and healthy during transit, leading to greater chick performance. 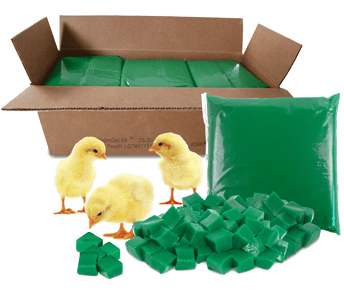 The ready-to-use water gel cubes retain their shape, composition, and moisture content, keeping the hatchlings and their bedding dry. 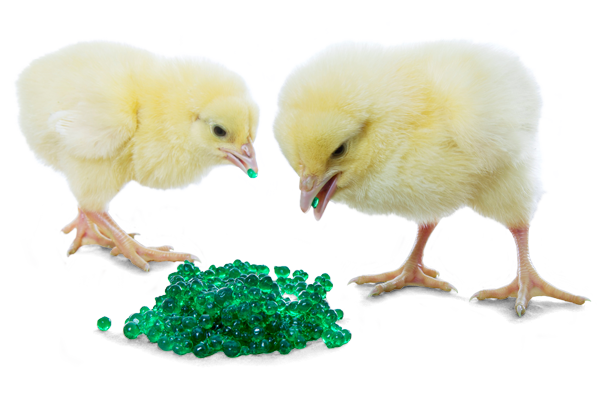 ClearH2O’s GelDrop® technology enables the topical application of orally-delivered vaccines, probiotics, nutrients, therapeutics, and other dietary ingredients to day old chicks and poults. Although the products do not contain medication, target ingredients may be conveniently added to the ready-to-use mix with consistency.